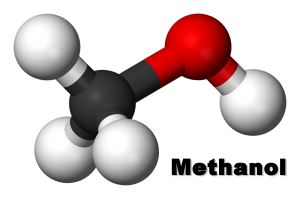 The Canadian Council of Ministers of the Environment (CCME) recently published an updated the Canadian Soil Quality Guidelines for the Protection of Environmental and Human Health: Methanol. Canadian environmental quality guidelines are numerical concentrations or narrative statements recommended to provide a healthy, functioning ecosystem capable of sustaining the existing and likely future uses of the site by ecological receptors and humans. Canadian soil quality guidelines can be used as the basis for consistent assessment and remediation of contaminated sites in Canada. The guidelines in the report were derived according to procedures described in A Protocol for the Derivation of Environmental and Human Health Soil Quality Guidelines (CCME 2006). According to this protocol, both environmental and human health soil quality guidelines are developed and the lowest value generated from the two approaches for each of the four land uses is recommended by the Canadian Council of Ministers of the Environment (CCME) as the Canadian Soil Quality Guidelines (CCME 2006). Sufficient data were available to develop soil quality guidelines for methanol protective of human health, in accordance with the soil protocol. The human health soil quality guidelines for methanol are 4.6 mg/kg for coarse soil and 5.6 mg/kg for fine soil for all four land uses. Human health soil quality guidelines were calculated for soil ingestion, inhalation of indoor air, and protection of groundwater for drinking water. The limiting pathway in the calculation of human health guidelines was drinking water. Sufficient data were available to develop soil quality guidelines for methanol protective of environmental health, in accordance with the soil protocol. The environmental health soil quality guidelines for methanol are: 7.7 mg/kg for coarse soil and 190 mg/kg for fine soil for all four land uses. Environmental health soil quality guidelines were calculated for ecological direct contact and protection of groundwater for aquatic life. The limiting pathway in the calculation of environmental health guidelines was aquatic life. Since it was possible to calculate both human health and environmental soil quality guidelines for methanol, the overall methanol soil quality guidelines are the lower of the two, which are 4.6 mg/kg for coarse soil and 5.6 mg/kg for fine soil for all four land uses.